His phone’s been ringing nonstop for nearly a week, so the call that interrupts Jerry Harkness on his trip to Indianapolis International Airport to catch a flight to Atlanta for the Sweet 16 game is no surprise. What happened in 1963? 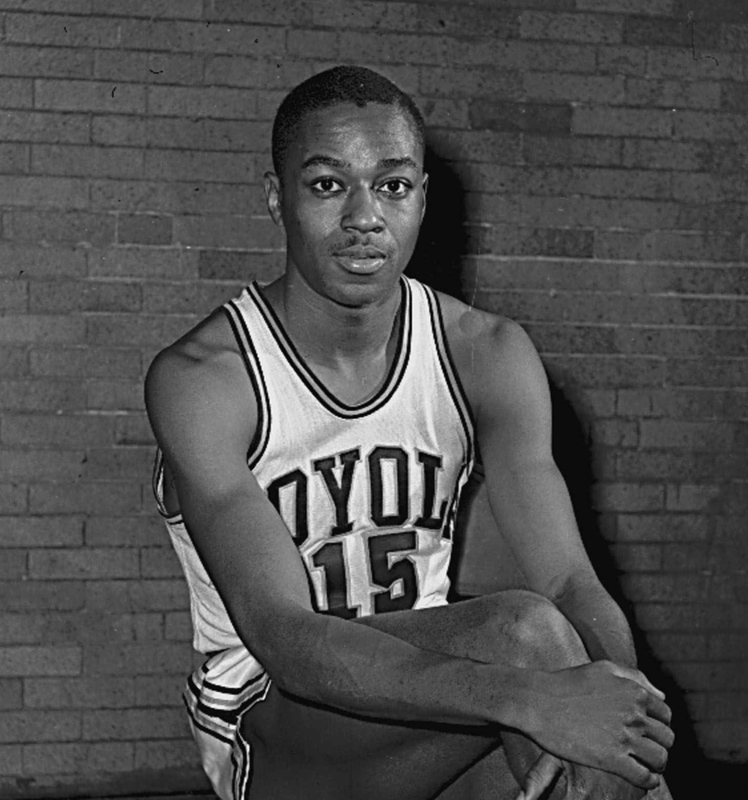 Loyola won the NCAA Division I national championship, during a season when it started four African-American basketball players — years before Texas Western played an all-black starting five on the way to winning the 1966 national title. And here’s why people want to talk to Harkness and his teammates now — the No. 11 seed Loyola Chicago Ramblers are playing in the Sweet 16 against Nevada in Atlanta on Thursday, the team’s first trip to the NCAA tournament in 33 years. But we can celebrate Loyola’s success in the present and in the past, which came during a time when the United States was in the midst of a tremendous racial divide. That might sound similar to America today, but the tensions were different. When the 1962-63 college basketball season began, most schools were sticking to the gentlemen’s agreement of playing no more than three black players at a time. It’s a philosophy that hindered Loyola as it lost in the semifinals of the 1962 NIT which, at the time, was considered just as prestigious as the NCAA tournament. In this Feb. 20, 1963, file photo, Loyola’s Jerry Harkness poses. There was no fear during the 1962-63 season when the three starters from the previous season — Hunter and his high school teammate, Vic Rouse, along with Harkness — were joined in the starting lineup by a fourth black starter, Ron Miller, who came off the bench the previous year. John Egan was the only white player in the starting five. The Ramblers scored more than 90 points on 16 occasions, taking a 24-2 record into the NCAA tournament. The Ramblers easily won their NCAA opener, 111-42, over Tennessee Tech, which remains the most lopsided result in tournament history. Loyola was scheduled to play against Mississippi State in the next game in East Lansing, Michigan, but there were doubts whether the southern team would show. There was an unwritten rule in Mississippi — the state where earlier in the school year James Meredith integrated the University of Mississippi under the watch of 500 U.S. marshals — that schools wouldn’t play against racially integrated teams. As the game against Loyola approached, a Mississippi court order prevented the team from going to Michigan for the game. The team sneaked out of Starkville, Mississippi, and only realized when they landed that the court order had been suspended by a Mississippi Supreme Court judge. That resulted in what’s known as The Game of Change, which began with a famous photo of Harkness, Loyola’s captain, shaking hands at center court with Mississippi State captain Joe Dan Gold. Loyola, ranked third in the nation, won that game over seventh-ranked Mississippi State, 61-51. The next day Loyola won the Mideast Regional Final over eighth-ranked Illinois, 79-64. A win over second-ranked Duke, 94-75, in the national semifinal set up the championship game against Cincinnati. The Bearcats, who had won two straight NCAA titles, had three black starters to go along with Loyola’s four. That marked the first championship game where the majority of starters were black. Loyola, with all five starters playing the entire game, won the championship in overtime, 60-58, when Rouse scored at the buzzer on a putback of a Harkness miss. A documentary, Game of Change, released in advance of the 50th anniversary of the national title, put a spotlight on that 1963 team. During the year of the anniversary, 2013, the surviving members of the team were recognized by President Barack Obama at the White House. Some of the surviving members will attend Loyola’s Sweet 16 game Thursday in Atlanta. They plan to have dinner and reminisce about that 1963 accomplishment that’s bringing them more recognition today than they’ve ever had. “It’s going to be great getting together with everyone,” Harkness said. And the hopes for this year’s team?